RN11-1 Residual Current Circuit Breaker are widely used in electrical system. enterprise,post ect. 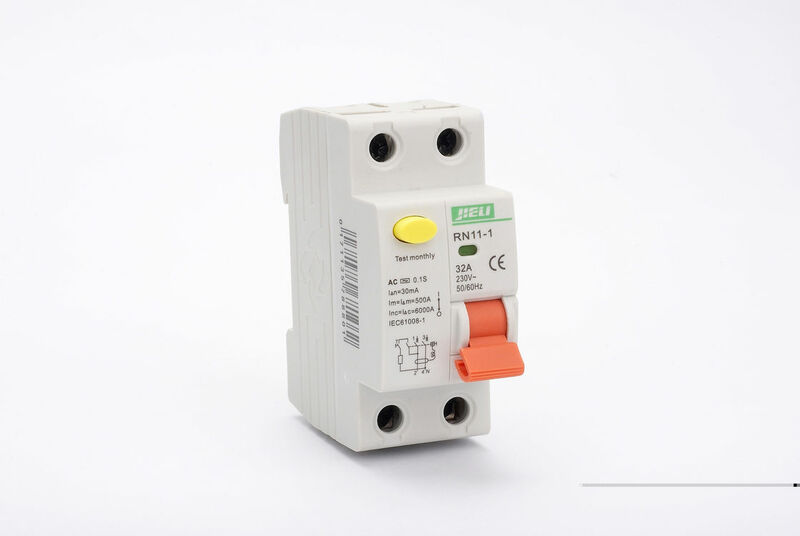 RN11-1 residual current circuit breaker is characterized by compact design, light weight, long service life, different handle colour for different rated current. RN11-1 residual current circuit breaker 32A rccb are used for protection against indirect touching of parts under voltage, for prevention of lasting voltage on earthed parts which should appear because of a defect in the electrical installation and for protection against direct contacts of parts under voltage in case of In<30mA. 3) RN11-1 Residual Current Circuit Breaker is in reasonable price.